BECCA Ocean Jewels Eyeshadow Palette Swatches | Top Beauty Blog in the Philippines covering Makeup Reviews, Swatches, Skincare and More! Hello, friends! 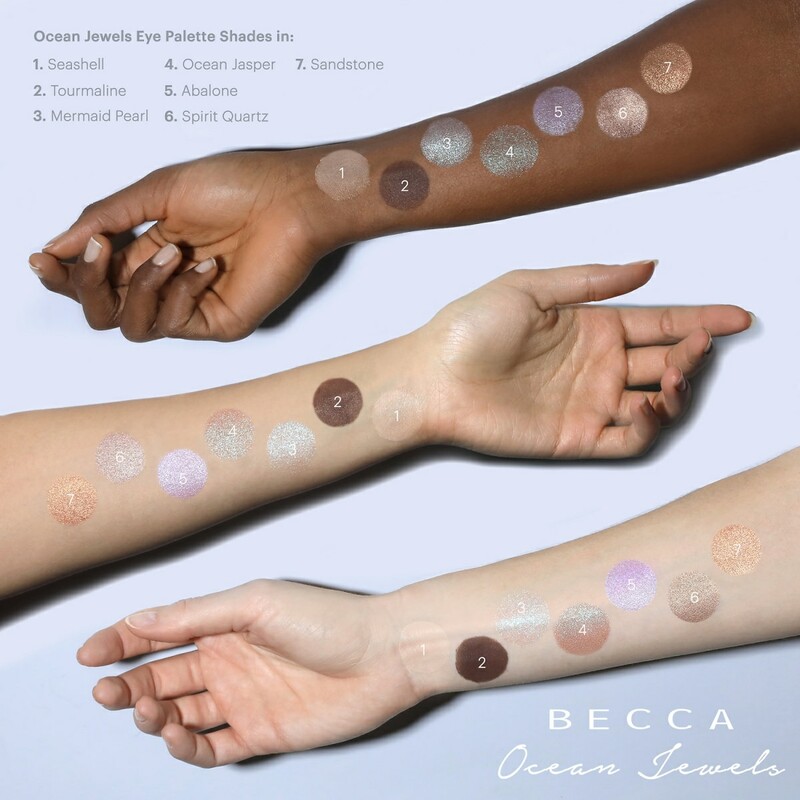 Here are the swatches of the new BECCA Ocean Jewels Eyeshadow Palette – a limited-edition eye shadow palette featuring seven brand new shades in three versatile finishes: creamy matte, metallic, and twinkling topper. Inspired by the mesmerizing, multifaceted colors of an abalone shell and lustrous jewels of the ocean, each shade can be effortlessly layered to create a range of beachy, otherworldly eye looks. It's such a cute cute palette, I love the colors!